For as much as anyone wants to be healthy for as long as possible, pain is a part of life. Sometimes you can do things to make it go away for good. Sometimes you just have to approach temporary pain relief is the best way to get through your day. But knowing some of the more common types of pain and what to do about them should at least be in your mental notebook for reference. So if you’re trying to figure out how to live at the highest standard of being, starting with the common types of pain makes sense. If you type or do lots of things with your hands, you may get carpal tunnel. Everyone deals with headaches and migraines throughout their lives. Most people have some sort of back and neck issues as they get older. And depending on how well you take care of your oral hygiene, you can have lots of pain associated with your teeth. Millions and millions of people sit at computers and type for a large percentage of the day. Millions of others play video games. Millions of others make repetitive motions with their hands. And that’s why getting carpal tunnel is such a common problem these days. It can be excruciating and incredibly long-lasting. Talking to a doctor about what you can do is your ideal solution, and stretching often works to help a little bit. Surgery becomes an option if the pain becomes too high. When you look into the different types of headaches, you’ll probably find what you are suffering from. Most people take pain medication to get rid of the worst ones, but then when you get into the realm of migraines, it may take more specific medicine or treatment. People have an incredible amount of pain that comes into their backs and necks. Sometimes buying a different pillow or getting a different mattress for your bed works wonders. Other times people try purchasing ergonomic chairs that help support their spinal column and head. If there are multiple reasons why you have these aches and pains, it may take some trial and error to figure out what sort of muscular alleviation you require. One of the most painful experiences that you can ever have is working through pain in your mouth. There are many nerve endings in and around your teeth and gum line, and if any of them get exposed, you can have sharp stabbing pains nearly all of the time, and they get worse when you’re eating or drinking. 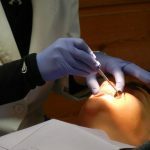 Going to the dentist regularly and checking for issues and brushing your teeth and flossing are the best ways to prevent this extended issue.